Jodi Sta. Maria and Richard Yap. It all started with this love team, and it all ended with this love team. The duo forever changed the pre-noontime landscape. Yet one production outfit tried to make things a little more interesting. That outfit happens to be Television and Production Exponents Inc., better known by the acronym TAPE Inc. The producers of ‘Eat Bulaga’ decided to take a crack at the Jodi-Richard love team by premiering a pre-noontime talk show hosted by a then-seven-year-old Ryzza Mae Dizon. In April 2013, GMA and TAPE launched ‘The Ryzza Mae Show’, and for nearly two years, it engaged with ‘Be Careful with My Heart’ in a tough battle for ratings supremacy. Yet ‘Be Careful with My Heart’ continued to roll, and so did its successors ‘Give Love on Christmas’, ‘Oh My G!’ and ‘Ningning’. When TAPE realized that ‘The Ryzza Mae Show’ has outlived its usefulness, they decided to replace the talk show with a light drama in ‘Princess in the Palace’, starring Ryzza alongside Eula Valdes and Aiza Seguerra. But the move to a drama format did not change its fortunes, and neither did a sitcom in ‘Calle Siete’. Meanwhile, another ABS-CBN series in ‘Be My Lady’ extended the network’s reign in the timeslot. In October 2016, GMA and TAPE canceled ‘Calle Siete’ and in its place came a coming-of-age light drama in ‘TROPS’, starring the That’s My Bae quintet of Kenneth Medrano, Kim Last, Jon Timmons, Tommy Penaflor, Miggy Tolentino, and Joel Palencia. The said series also ended Ryzza Mae Dizon’s three-year run in the pre-noontime slot amid her physical changes and the emergence of AlDub. Unfortunately, ‘TROPS’ also failed to make a difference in the ratings. Over at ABS-CBN, their dominance continued with ‘Langit Lupa’ and ‘Ikaw Lang ang Iibigin’. 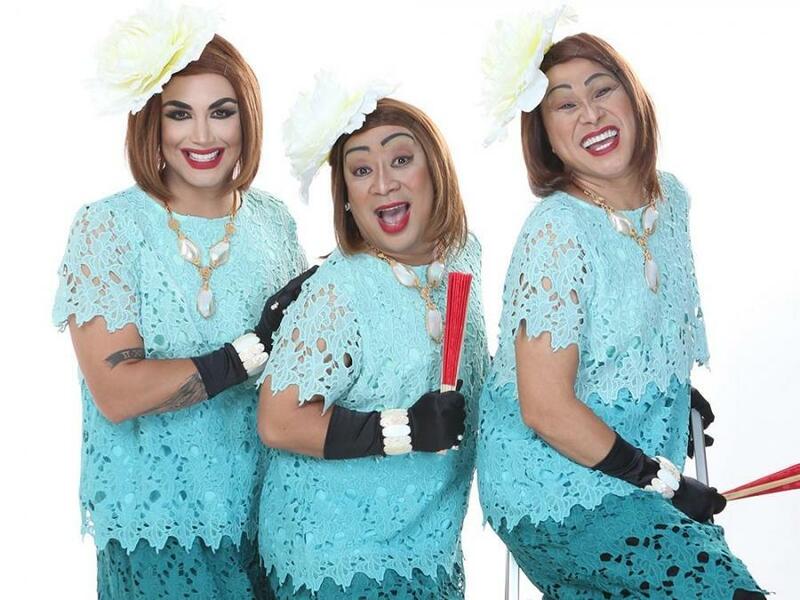 In a last-ditch effort to make an impact in the pre-noontime slot, TAPE and GMA returned to the talk show format in September 2017 with ‘The Lolas’ Beautiful Show’, hosted by the lolas of Kalyeserye (portrayed by Jose Manalo, Wally Bayola and Paolo Ballesteros). It couldn’t have come at a worst possible time, as AlDub was no longer a difference-maker by the time this show premiered. Sadly, the return of Jodi and Richard (plus Robin Padilla) in ‘Sana Dalawa ang Puso’ put an end to TAPE’s pre-noontime aspirations. As a result, TAPE cancelled ‘The Lolas’ Beautiful Show’ after 95 episodes on February 2, 2018, and ceased production of pre-noontime shows. Give TAPE and GMA a lot of credit for trying to give ABS-CBN a run for its money. But at the end of the day, the latter’s superiority in the pre-noontime slot became too much to overcome, especially with the unlikely duo of Jodi Sta. Maria and Richard Yap giving plenty of ‘kilig’ to its viewers. Now that TAPE ends its production of pre-noontime shows, time will only tell when GMA decides to strike on its own. But for now, the competition is over and GMA will have to live and die with Tagalized movies as a way to wave the white flag. The Kimerald reunion tour will come to an end this week. On Friday, January 26, ‘Ikaw Lang ang Iibigin’ will air its 195th and final episode. The series, which starred Kim Chiu, Gerald Anderson, Jake Cuenca and Coleen Garcia, was first aired on May 1, 2017. In many ways, the series was not a disappointment ratings-wise. But for the more knowledgeable viewers, the serious tone of ‘Ikaw Lang ang Iibigin’ may have turned them off a bit considering that ABS-CBN reluctantly placed the series to the late morning timeslot. When ‘Ikaw Lang ang Iibigin’ was first announced during one of ABS-CBN’s trade fairs, many thought the series would be assigned to Primetime Bida. After all, Kim Chiu and Gerald Anderson were highly accomplished primetime stars with many top-rating series to their credit. However, ABS-CBN decided to take ‘Ikaw Lang ang Iibigin’ to the late-morning slot that is normally assigned to more light-hearted or inspirational series (see ‘Be Careful with My Heart’ and ‘Ningning’). At this point they didn’t have a choice since Kapamilya Gold and Primetime Bida were fully loaded and they fear that postponing the series’ premiere could affect its ratings. Nevertheless, ‘Ikaw Lang ang Iibigin’ became a hit in the ratings game, mainly due to inferior competition put up by GMA Network blocktimer TAPE Inc. During the first half of its run, ‘Ikaw Lang ang Iibigin’ was pitted against the coming-of-age drama ‘TROPS’, and after that they faced the talk show ‘The Lolas’ Beautiful Show’. Overall, even with all the obstacles thrown against it, ‘Ikaw Lang ang Iibigin’ still managed to enjoy a great run. It was a series that is as compelling as it comes, with the premise of three triathletes entangled in a love triangle while competing in a run of their lives. As ‘Ikaw Lang ang Iibigin’ nears its conclusion, one can only hope that these last few episodes will be as explosive as it can get. A very interesting ending awaits, so good luck with that. It’s all down to one final week for ‘Langit Lupa’. This Friday, ABS-CBN will air the 108th and final episode of ‘Langit Lupa’, the late weekday morning drama starring Yesha Camile and Xia Vigor. The series tells the story of two best friends whose origins and issues with their parents test their bond together. Also starring in ‘Langit Lupa’ are Yam Concepcion, Alessandra de Rossi, Patrick Garcia, Jason Abalos, Ellen Adarna, Tommy Esguerra, Miho Nishida, Jairus Aquino, Sharlene San Pedro, Buboy Garovillo, Viveika Ravanes, and Kitkat. The series is directed by Carlo Po Artillaga and Myla Ajero-Gaite. ‘Langit Lupa’ first premiered on November 28, 2016 and made an immediate impact, earning a rating of 17.5% to rule its timeslot against GMA’s ‘Trops’, which only scored 8.7%. From that point on, ‘Langit Lupa’ continued ABS-CBN’s dominance in the late-morning slot, averaging around 15% compared to ‘Trops” 9% in Kantar. The series was also a regular trending topic on social media, with viewers praising the acting abilities of child stars Yesha and Xia. The latter’s performances on ‘Your Face Sounds Familiar Kids’ likewise boosted not only her individual popularity, but also of the show with which she stars. Despite its success, ‘Langit Lupa’ may be considered one of ABS-CBN’s more underrated late-morning series. Unlike another child-starred drama in ‘Ningning’ (starring ‘Dream Dad”s Jana Agoncillo), the two child stars of ‘Langit Lupa’ are essentially rookies in the field of entertainment, thus their performances and recognition still have more room for improvement. Nevertheless, ‘Langit Lupa’ represents the first big leap in the careers of Yesha and Xia. With ABS-CBN’s growing reputation as a ‘child star factory’, greater things are expected for the two in terms of their career path. Come this Friday, it will be the cutest finale journey for Princess (Yesha) and Esang (Xia). For viewers who have tuned in to ‘Langit Lupa’ from the beginning, a memorable and wonderful conclusion awaits. The gap between ‘Be My Lady’ and ‘Princess in the Palace’ continues to widen. As the rainy season began, it is clear that the odds were not in favor of ‘Princess in the Palace’. While Ryzza Mae Dizon has shown to be a capable actress, it was not enough to catapault her past the love team of Erich Gonzales and Daniel Matsunaga, whose chemistry on ‘Be My Lady’ mirrors that of their real-life relationship. And ratings for the two shows speak for themselves. On Thursday, June 2, ‘Be My Lady’ (18% rating per episode) won the day with a 20% rating, the second time it ever hit the mark, while ‘Princess in the Palace’ (8.5% rating per episode) only earned 8.7%. The constantly outstanding ratings of ‘Be My Lady’ led to another extension just recently. The ABS-CBN pre-noontime series will now run until October, which means that it will have a ten-month run, the longest for a pre-noontime show since ‘Be Careful with My Heart’. On the other hand, TAPE and GMA announced that the week of June 6 will be the last for ‘Princess in the Palace’. 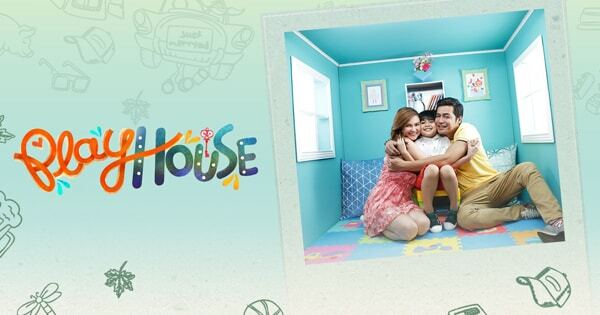 Running since September 21, 2015 (a total of 188 episodes by June 10), it was Ryzza Mae Dizon’s first venture as a character actress, and it also starred Eula Valdes, Aiza Seguerra, Boots Anson Roa and Christian Vasquez, among others. Though ‘Princess in the Palace”s run was just as impressive, the series was unable to overcome the constant success of ABS-CBN’s pre-noontime shows. Both ‘Ningning’ and the aforementioned ‘Be My Lady’ posted ratings that were at best 10 points higher than ‘Princess in the Palace’. Nevertheless, Ryzza Mae Dizon should be proud of herself. Regardless of the show’s underwhelming ratings, she proved to the world that she can cry and laugh with the best of them, and working with industry veterans is worth the experience. Despite the fact that ‘Princess in the Palace’ is about to conclude, don’t expect to see the last of Ryzza Mae Dizon every pre-noontime. A new comedy-drama series starring her is currently in the works, and it will premiere on the former’s timeslot next Monday, June 13. Still, it’s hard to overcome a timeslot that is dominated by ABS-CBN in the last half-decade. That said, best of luck to TAPE and GMA on that new series starring Ryzza Mae Dizon next week.